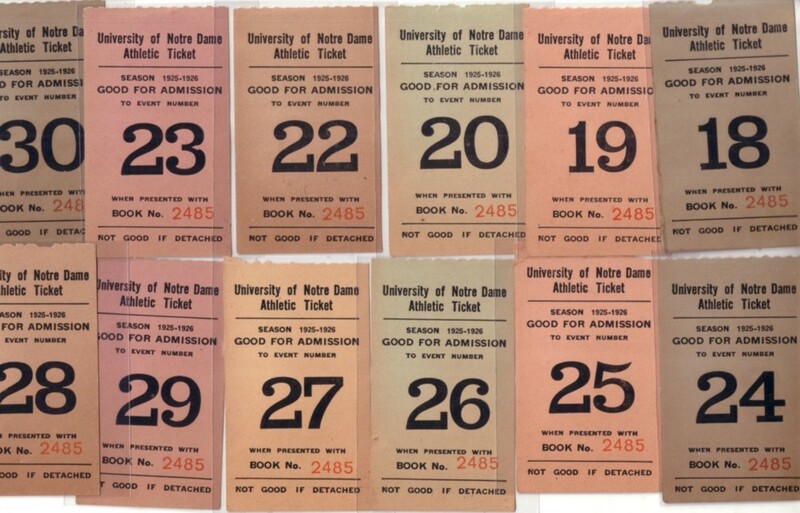 Lot of 12 different numbered, undated original Notre Dame Athletic Tickets from the 1925-26 season. 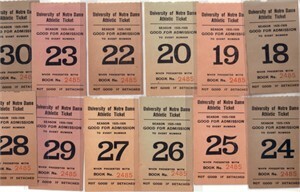 Some or most probably were basketball or football game tickets but the sport is not printed on them. The tickets refer to a book and therefore probably were issued to students who, unlike the general public, sat in designated sections and not specific seats. PRISTINE MINT CONDITION.